Do you want to learn how to braid a paracord? When it comes to paracord braiding, there is a lot of knotting and braiding projects that will help you produce useful items. A paracord comes in various colors and thicknesses. 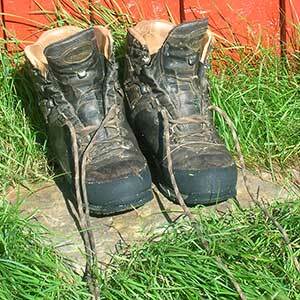 It is also known to be a very useful outdoor and survival tool. You see, a completed paracord project can be a life saver in a survival situation. These paracord braiding projects are made with the use of a series of knots to end up with a useful piece. For paracord braiding, a lanyard will be a good starting project to learn how to knot a paracord. A lanyard is made with a single piece of paracord, and it will provide a hand filling attachment to the important stuff. It has a clip on one end and you can use the other to be a key ring or pocket knife. Your next paracord braiding project can be a paracord bracelet. You can make a bracelet out of a paracord with the use of a side release buckle. This buckle is like the plastic buckels on backpacks and messenger bags. Once completed, a paracord bracelet will give you a handy way to carry around three yards of paracord for when you need it the most. A watchband made of paracord is simply the bracelet style of knot tying done twice. The same type of side-release plastic buckle can be used to provide a secure fitting watch. This is also a very useful paracord braiding project. Yes, you can make a pouch out of a paracord. Paracord pouches can be used in many applications. For people who love the outdoors and spend most of their time camping, hiking, etc. this will be a great way to store their multitools like GPS receivers or flashlights. Paracord braiding projects will definitely inspire you to start with one project and move to another. What’s best about them is that once you have mastered each project, you can start selling stuff out of paracord. We all know that paracord bracelets are the thing nowadays because of the high demand for them. Immerse yourself in paracord braiding and you will benefit from it a lot. You will enjoy the whole process as well. This entry was posted in Paracord Survival Bracelets on March 1, 2012 by FindItOnline. A parachute cord bracelet is becoming very popular today but first, what is a parachute cord? It is also known as a 550 cord, which is a very lightweight nylon kernmantle rope that was originally used in the suspension lines of US parachutes during World War II. During that time, the paratroopers found the cord to be very useful as they can use it for other tasks. Today, instead of carrying a cord in your bags, there is a more practical way to carry a parachute cord that will cost anyone no hassle at all and that is through the form of a bracelet. Ever since this parachute cord bracelet came out in the market, people swarmed and bough themselves one while others purchase quite a number of it. Why doe it became famous? It’s because of its advantages, what are these advantages? A parachute cord bracelet is very easy to carry around. It won’t weigh you down during your trips and you can also wear it every day. It looks great! Today, there are more colors and more stylish parachute cord bracelets that you can choose from. You see the advantages? Those advantages are talking BIG and that’s why more and more people are seen wearing a parachute cord bracelet. As mentioned above, this parachute cord bracelet is becoming more stylish and there are now more colors to choose from and because of this, even the youth of today get themselves one to look great. In fact, parents became happier because they have this thought that their children will be protected at all times. There have been a lot of stores how a simple bracelet saved the lives of many. Today, soldiers, firefighters and policemen have a parachute cord bracelet around their wrist. In their case, theirs have a tag that has their name and station number engraved on it for identification purposes. A parachute cord bracelet is considered to be a survival kit essential. So, what are you waiting for? You can find a parachute cord bracelet online or in stores near you. You will definitely love it and the wide selection that you can choose from is just awesome. This entry was posted in Paracord Survival Bracelets on February 23, 2012 by FindItOnline. The paracord bracelet, also known as a parachute cord was used by the military during the Second World War. Back then, it was a very useful tool due to its elasticity and its ability to withstand immense weight. These days, the paracord has been transformed into a woven bracelet that’s commonly used by individuals who embark on outdoor adventure activities such as camping, hiking, mountain climbing, and hunting. The bracelet is an essential item in every survival kit. It is also extremely handy in emergency situations. When combined with the pocket knife, the cord can be used in almost anything that requires a string or a rope. Many survival stories have been told that involved the use of paracord bracelets. It might seem impossible to imagine how such a small item can have so many uses. As you’ll learn later though, the paracord is adequately long and sturdy to be used as a rescue rope. Oddly enough, the inner fibers of the paracord bracelet can be used as floss (for cleaning teeth). This would make sense considering that soldiers in combat situations don’t have the luxury of time to do most of their morning rituals. Flossing your teeth is fast and effective. Moreover, a floss may be used in circumstances where a toothbrush and a toothpaste aren’t readily available. The paracord can also be used as a rope meant for slow descent in ravines or small gorges. In critical scenarios, the bracelet can be entangled and can stretch more than three meters long to support a timely rescue attempt. Top quality, military spec cords can withstand up to 550 lbs. of weight. Furthermore, the cord can be used as a snare to catch small animals. Due to it’s nylon content, others also use the cord as a fishing rope. Other uses of the paracord include bootlaces, clothesline, pet collars, emergency tourniquets, knife handle sheaths, belts, and gun straps. Paracord Bracelets are available on Amazon for just $3.49 through this link right here. The paracord bracelet is available on Amazon for just $3.49. Click on pic for more details. The use of the paracord bracelet has become a fashion statement. Over time, designs were made that feature different interwoven colors, making it one of a kind. Some paracord bracelets also have added designs attached to them (such as charms or pendants). These bracelets are popular among teenagers, some even wearing more than one. They have also become a trend. It’s certainly a positive trend which can save lives in an emergency. The paracord bracelet is available on Amazon for just $3.49 through this link right here. This entry was posted in Paracord Survival Bracelets and tagged paracord bracelet on March 20, 2011 by FindItOnline. Survival bracelets are for everyone, the cool design will not let you think that it’s a survival bracelet. This is very useful for anyone. The survival bracelet has usually a 15-20 feet 550 pound paracord. During emergency situations, you can easily unravel the bracelet and deploy the paracord for use. It is very helpful especially if you’re out camping and you need to tie things up, or you need an emergency dog leash. There are a lot of uses of this survival bracelet and is very helpful during emergency. Great Product for a Great Price. 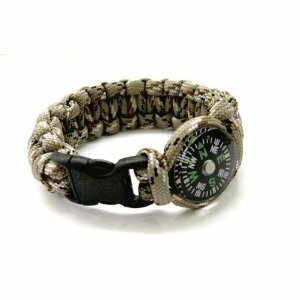 This Survival Bracelet with Compass is available on Amazon for just $4.99. Click on pic for more details. A survival bracelet looks very manly, but there are also other survival bracelets that come in different colours that even women can enjoy. Survival bracelets can fit 7.5” wrist and comes with a plastic side buckle. Sure, right now you might not need it as a necessity, but when you’re in a situation that you need a rope or something, it will make you think that you should’ve bought a survival bracelet JUST IN CASE. That’s the whole point of the bracelet, JUST IN CASE. There are some things we don’t have total control and sometimes it just happens, and when it’s there we should be ready and be prepared. For example, you are in a boat right in the middle of the sea when suddenly your friend accidentally fell off the boat and is panicking, you can just unravel your survival bracelet and throw it at your friend and pull! See, you will be even able to save someone’s life. All kinds of Survival Bracelets are available on Amazon through this link right here. Even soldiers have these survival bracelets. We all know soldiers should always be prepared and ready and this survival bracelet is one accessory to show how prepared they are and that’s a mark of a good soldier. These survival bracelets can be worn anytime and can be worn by anyone. As they say, these are tough times and we never know what’s going to happen in the future so be ready and be prepared. A single bracelet might even save your life or someone else’s. Survival bracelets are brilliant and it is also not very costly, you can find survival bracelets through the Internet. You can also check some colours if you prefer a different colour other than black. What are you waiting for? You don’t want an emergency to catch you unprepared; survival bracelets will help you with just about anything, tie something or simply use the rope itself for survival purposes. Take full control during emergency situations, survival bracelets are now the latest accessory for survival accessories and it is time to get yourself one especially if you’re planning on a trip in a secluded place or if you plan to go mountain hiking. Survival bracelets are very handy and you will have the peace of mind that you’re ready. This entry was posted in Paracord Survival Bracelets and tagged survival bracelet on February 10, 2011 by FindItOnline. If you want to know how to make a survival bracelet, you have to understand that it requires plenty of attention. The steps are closely related, so you will need to focus in every step of the way. If you are planning to go on a camping trip, it is important to that you wear a survival bracelet. In the most dire situations, it can spell the difference between life and death. It can also be worn as a fashion statement. However, the bracelet can be unravelled when things go out of control. When entangled, it is long enough to make knots, lashes, splints, and other items that’s useful in a survival situation. Make your own Survival Bracelet or get one from Amazon. This one is available for just $4.99. Click on the pic for more details. Listed below are the materials and the steps on how to make a survival bracelet. Measure and cut 2 ft. of the paracord. Hold both ends of the cord you cut earlier and slightly burn them with a lighter. This will melt the nylon and prevent fraying. Fold the cord in half and wrap it around your wrist. The loose ends should be slipped through the loop on the folded end. Then tie the loose ends with an overhand knot. Slide a finger under the cord, then gently remove the cord from your wrist and set it aside. The remaining portion of the paracord should be 8ft. Similar to the 2-foot cord you cut earlier, burn the ends to prevent fraying. Lay the cord. Once you see the middle of the cord, put the tied 2-foot section of cord. Form a T with the looped end and the knot forming the bottom on of T.
The 8-foot section and the vertical looped cord should be held down with your left hand. Pull the cord from the right over the 2-foot section. The left side should make a backward S or a curvy Z. When form Z is visible, it is time to loop the left portion with it. Bring it over the vertical cord and then thread it with the horizontal cord. This will look like a pretzel. Both ends of the horizontal cord should be pulled tight, leaving an exposed loop at the end of the vertical cord. The knot should fit through this loop. Reverse the knot and loop the cord over the middle section of the S and under the vertical cord, then up and over the horizontal cord. Pull them tight to create a knot on the other side. Afterwards, you might want to test it on your wrist to see if it fits. As has been previously stated, it takes a lot of focus to understand how to make a survival bracelet. It is strongly advised that you put yourself in an area where you will not be bothered by phone calls or friends and family members. If you want to know how to make a survival bracelet, just check out the procedure above and follow them to the letter. Good luck! Survival bracelets are available on Amazon through this link right here. This entry was posted in Paracord Survival Bracelets and tagged make your own survival bracelet, survival bracelet on February 2, 2011 by FindItOnline. A paracord survival bracelet is often used by those who are in the military; however, it has become popular ever since the parachute cord. The paracord survival bracelet is made from the same thing as the parachute cord but the only difference is it can be worn. This bracelet has a lot of uses, it may be a bit tiny and look useless like other jewelleries but when it comes to emergencies it will really surprise you of what it can do. Paracord Survival Bracelet available on Amazon for just $3.49. Click on pic for more details. The paracord survival bracelet can be of use when you’re outdoors and you seem to notice that you’re shoes has a missing string, unravel your bracelet and you will surely have a spare shoe string. If you’re out on a camping trip with your family and your dog got so overwhelmed with the large space and ran off, the paracord survival bracelet can be used as a dog leash as well. 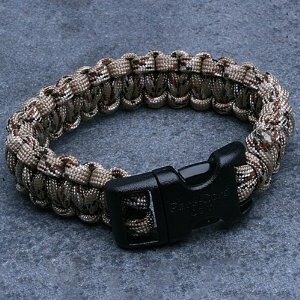 for those people or our noble soldiers who are currently in a secluded forest or in an isolated spot, you can use your paracord survival bracelet to floss your teeth using the inner fibres of the paracord, you could also create snares and make a net to catch small animals and fish so you can eat even without any supply of food. You can also use it as a sling for your guns or if you have arrows you can use it to tie the arrow head to your arrows. Another awesome thing is that it can also provide shelter, you just have to unravel the paracord survival bracelet and tie both ends at opposite trees, place a blanket or any other kind of large cloth in between and you have an instant shelter to protect you from the sun and the rain as well. Paracord Survival Bracelets are available on Amazon through this link right here. The paracord survival bracelet is really used for surviving and whatever type of emergency purposes. Imagine having the paracord survival bracelet tied in your wrist and knowing that the bracelet tied in your wrist can help you save lives or save someone else’s life as well. There are a lot of survival stories with the use of the paracord survival bracelet and some of these stories are about saving the lives of other people. It is just useful and lifesaving! Who wouldn’t want anything like this? The only handy survival accessory you can carry is a pocketknife which also has a lot of uses but if you pair it up with the paracord survival bracelet you will feel like you’re ready and prepared for anything that will come your way. In fact, these are the basics that you will need when you want to survive especially if you’re trapped in a secluded spot. 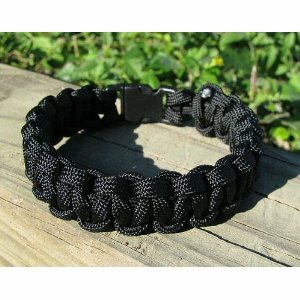 Paracord survival bracelet is really a big help and plays a big role in survival and emergencies. This entry was posted in Paracord Survival Bracelets and tagged paracord survival bracelet on February 2, 2011 by FindItOnline.